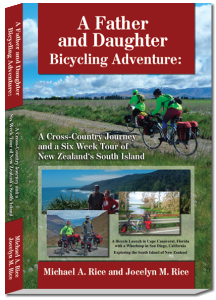 Our new book “A Father and Daughter World Cycling Journey” will be published very soon! 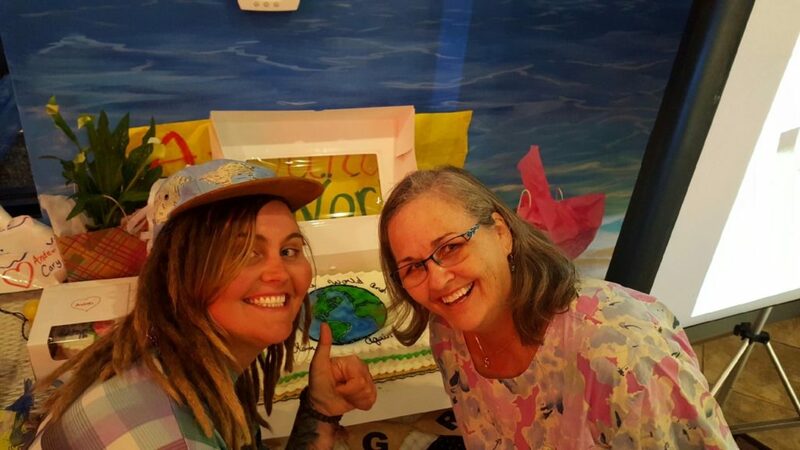 We arrived home on December 3rd which was also my wife Andrea’s birthday! 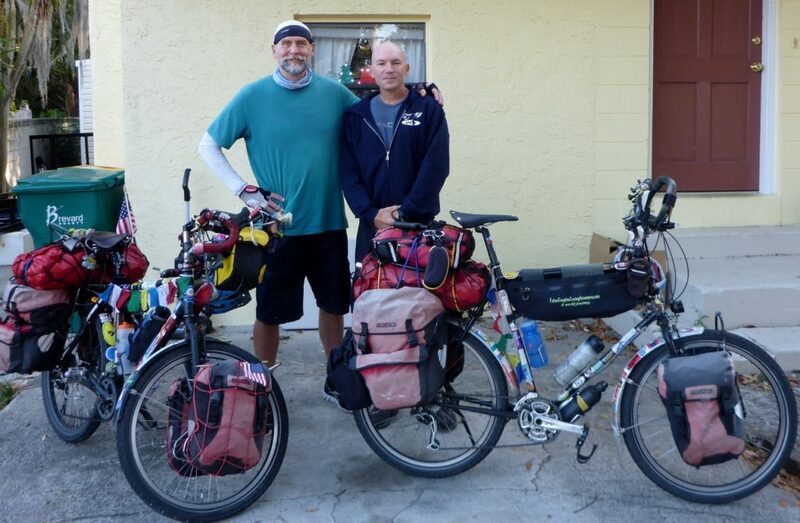 The previous night we spent with our last warmshowers host Chris and Beth in Titusville. 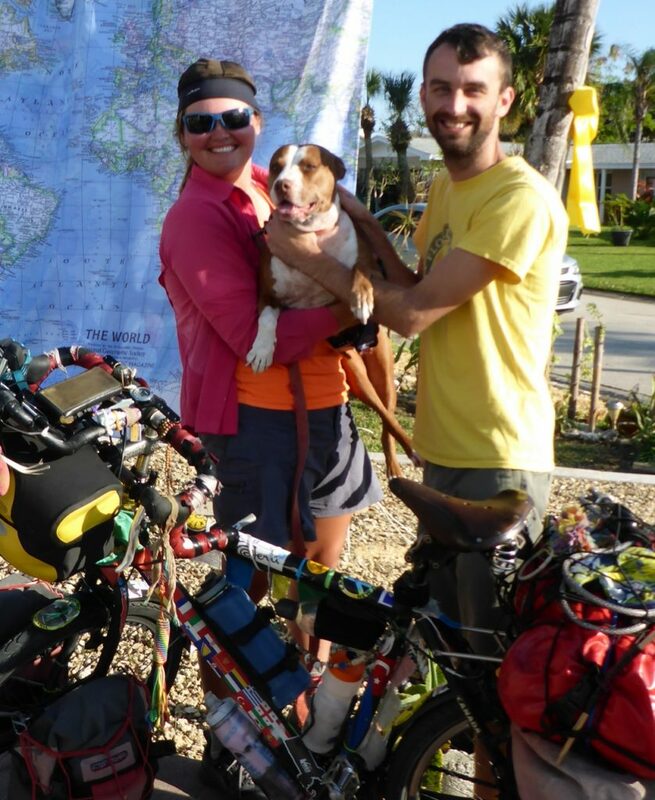 Chris and Beth build touring bicycles and have gone on many adventure cycles. They have a very informative website http//: longhaultruckerbuild.com. Saturday morning we were treated to a really nice breakfast by Beth at the restaurant she works at on weekends. 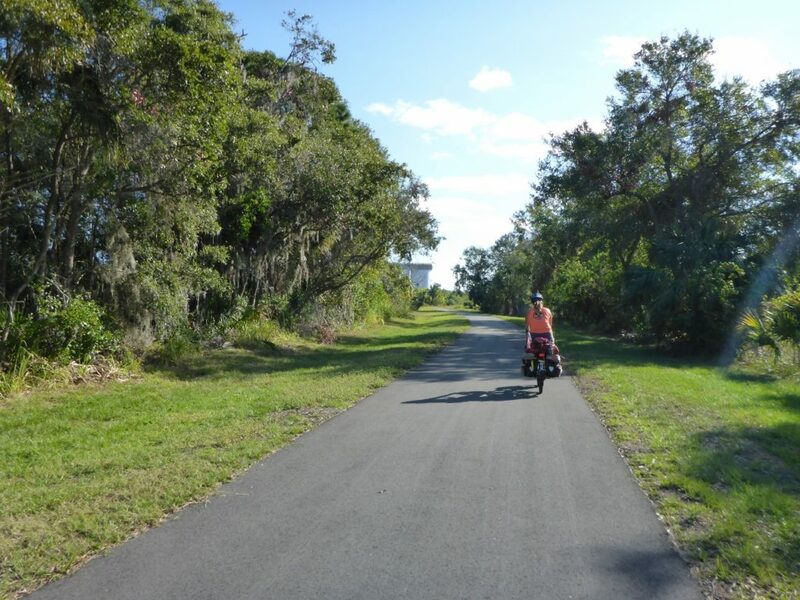 Thanks to Chris who told us about a new and excellent bike trail through Titusville. 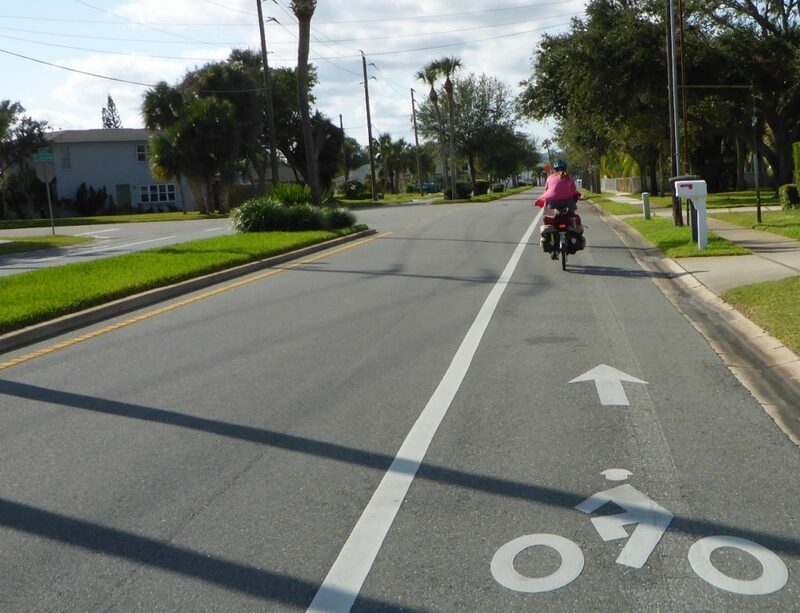 It is part of the Maine to Florida bike trail still under construction. 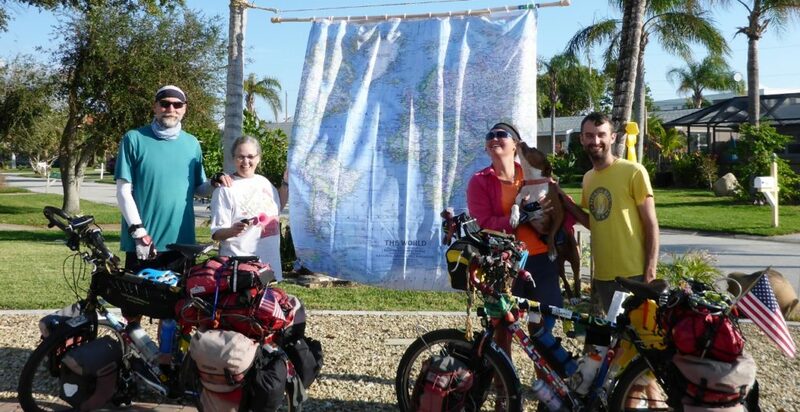 The non-profit organization East Coast Greenway Alliance (ECGA) is in charge of the 3,000-mile bike path that will stretch from Calais, Maine to Key West, Florida. 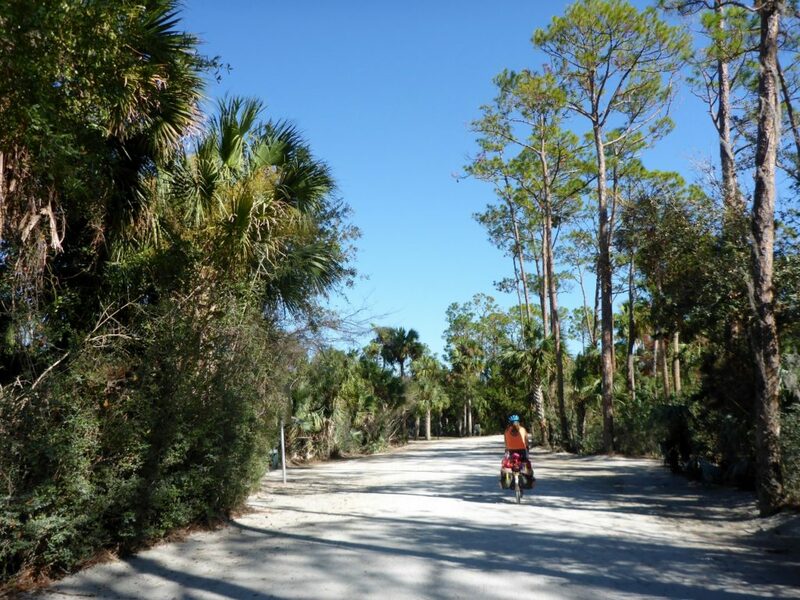 The project has been underway since 1991, building different segments of the trail that will eventually link together. 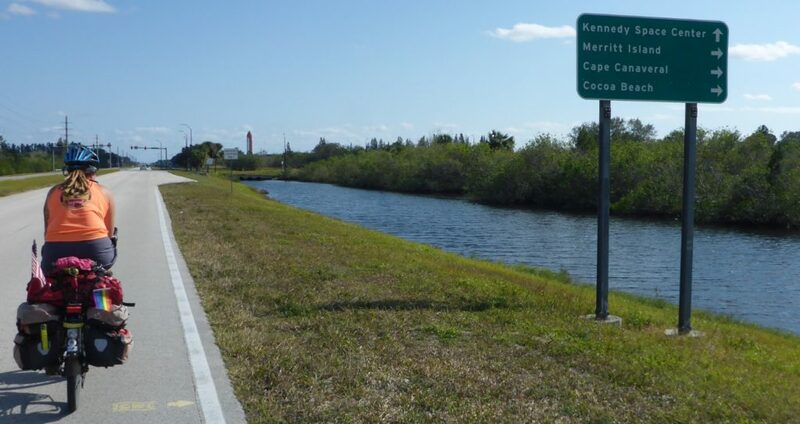 We soon entered the public area of Kennedy Space Center and continued through Merritt Island to our barrier island. 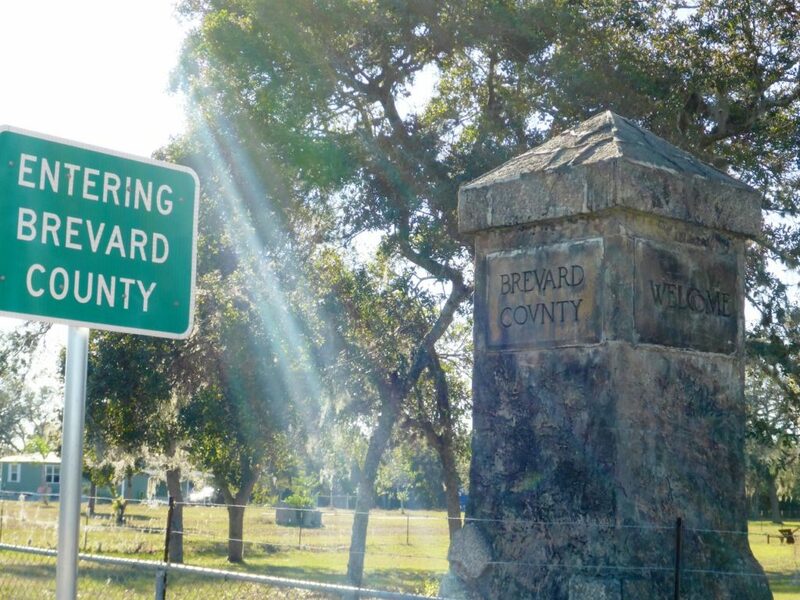 There was one disturbing incident on Merritt Island where a driver tried to intentionally hit Jocelyn. We were riding along on a quiet side road when traffic was backed up a bit as the car behind us waited until they could safely pass us. A few cars back a driver yelled out, “Get on the sidewalk assholes!” Wow – really? As he passed us he swerved towards Jocelyn trying to scare her and narrowly missed hitting her. What a jerk! Here we have been all around the world and this happened on our last day. 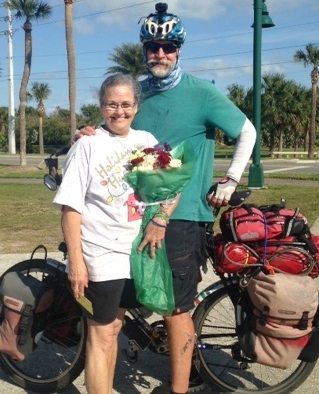 We then continued and crossed over our last bridge and entered Cape Canaveral where Andee was waiting to take pictures and video. Together again. 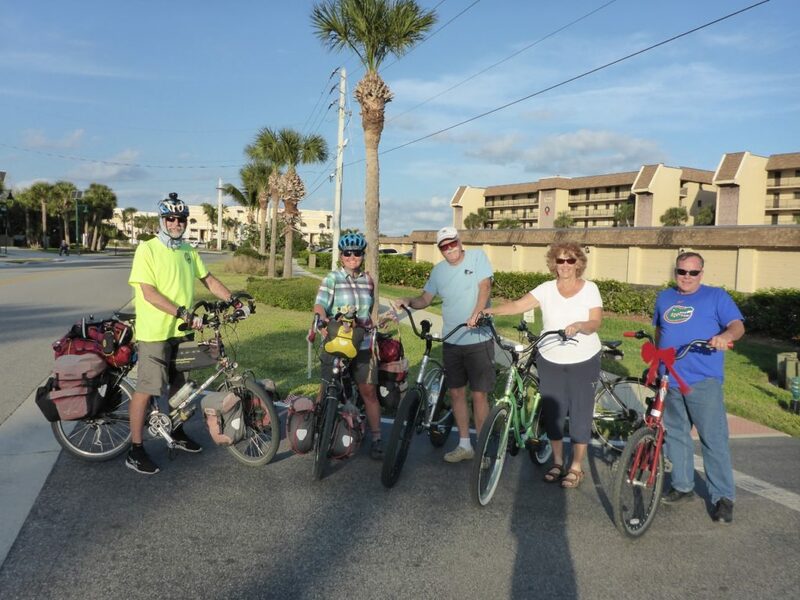 After a brief lunch at our neighborhood La Cantina restaurant we rode home to a nice welcoming then back to a local beachside park where we met a few more neighbors who rode with us to Florida Brewing Company where we had a nice reception with friends. After a week, I am finally posting an update. Unpacking was tough and bittersweet. It has been hard on Jocelyn and I integrating back to “normal” life. I have started running the beach again in the early mornings. As I drive in my truck I think of riding the shoulder on my bike and reminiscing days on the road. 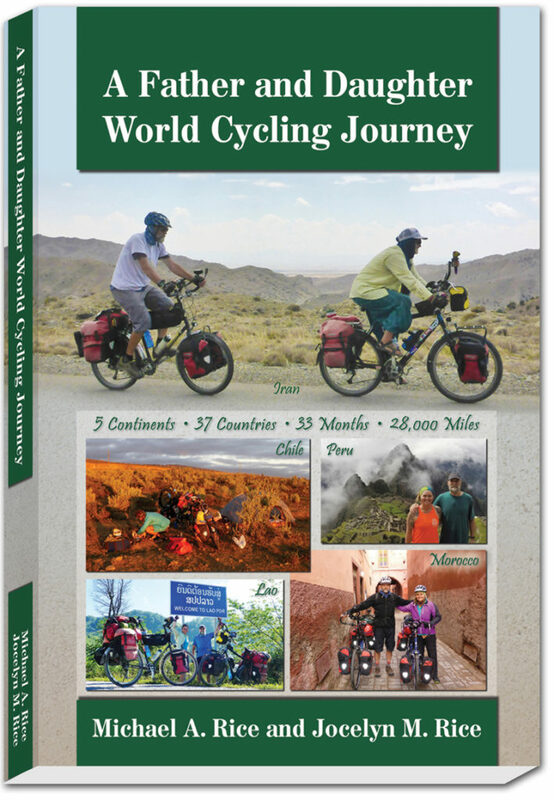 The World Tour Mileage Summary has been updated. I have turned off comments. If you would like to comment please email me at mikey8590@gmail.com or click on “contact us” in the header. 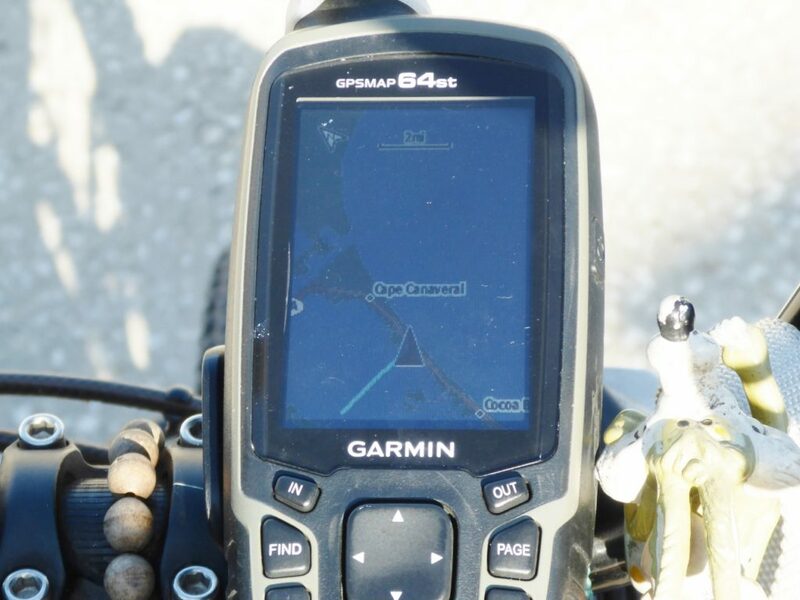 February 15, 2017 I am living another very different adventure at the South Pole. 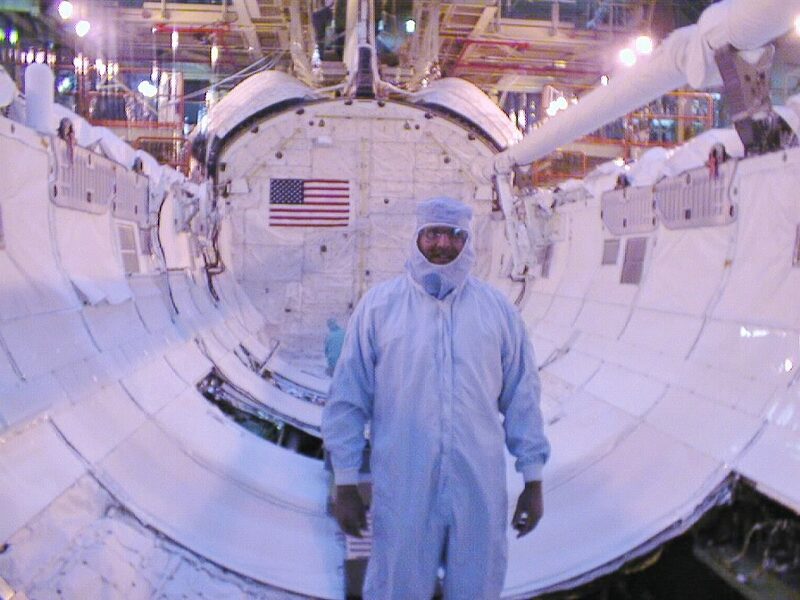 This is my third winter here as a satellite communications engineer. Winters here are long and last until early November when the first aircraft in 10 months arrives. 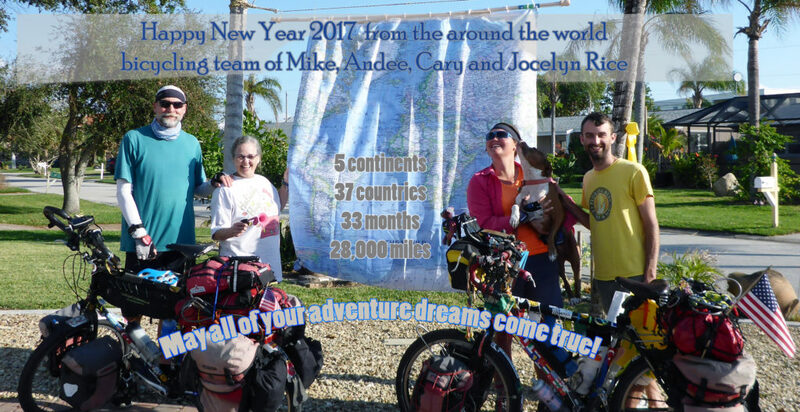 You can follow this adventure at: southpolemike.blogspot.com. 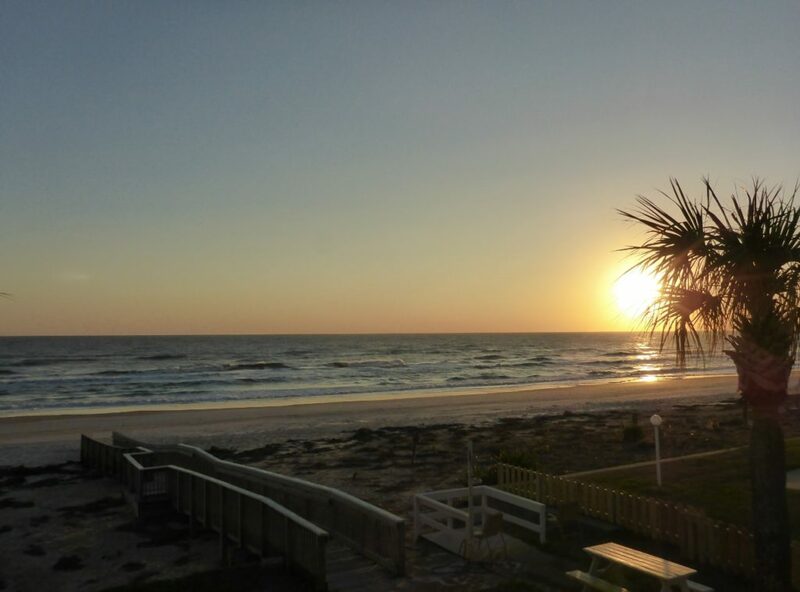 Sunrise in Ormond Beach, Florida. Our final warmshowers host Chris. 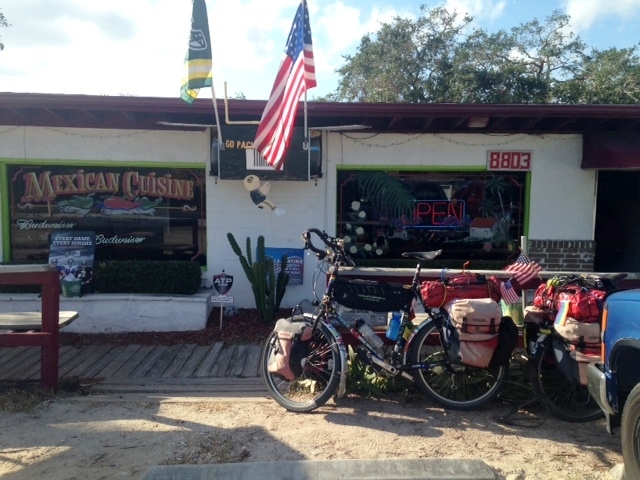 Chris told us about a new bike trail through Titusville. Entering Kennedy Space Center where I used to work. 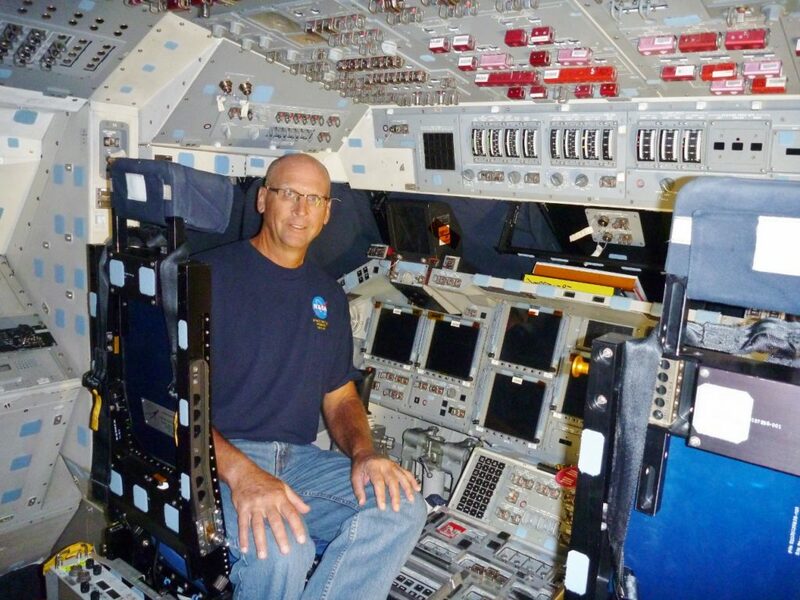 From my space shuttle days. 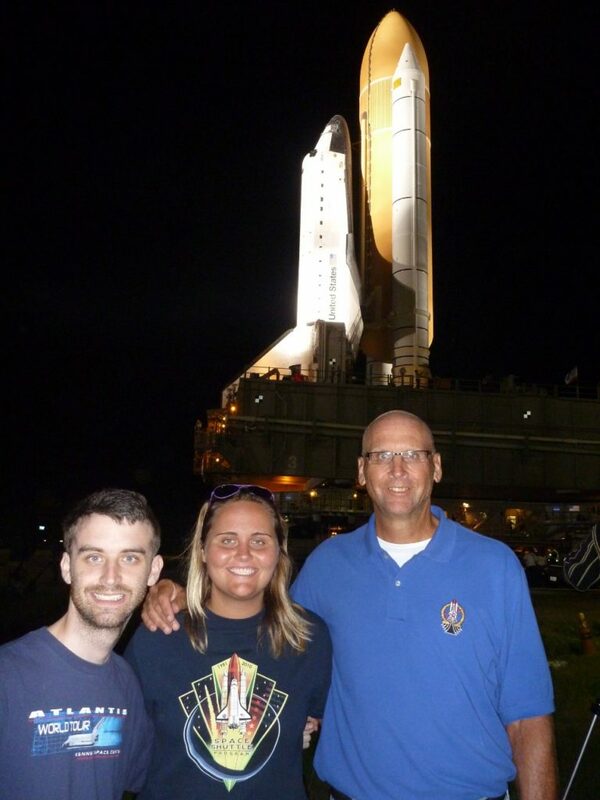 Cary, Jocelyn and me at the last shuttle rollout to the launch pad in 2011. Space Shuttle Discovery on the pad. Onboard the flight deck of Endeavour. 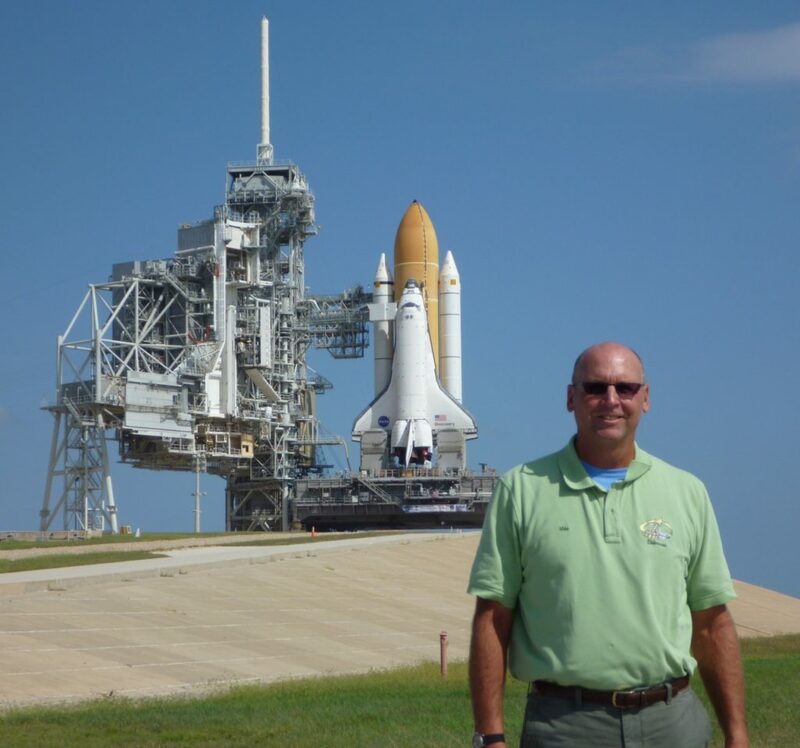 I spent almost 30 years working on the Space Shuttle Program. Headed home to Cape Canaveral, Florida. 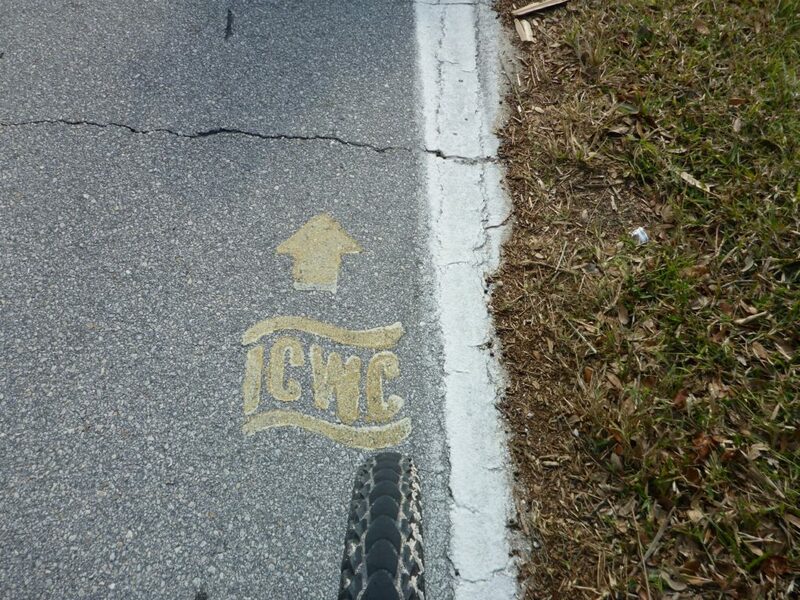 Several years ago I rode in this my first long ride – the Intracoastal Waterway Century. Our last bridge – it’s all downhill from here! 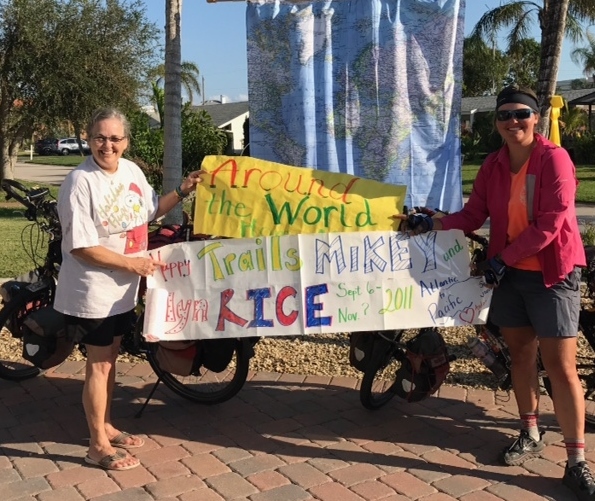 Thank you Andee for all of your support. It was Andee’s birthday and Jocelyn bought her mom flowers on the way. Our neighborhood hangout, La Cantina. 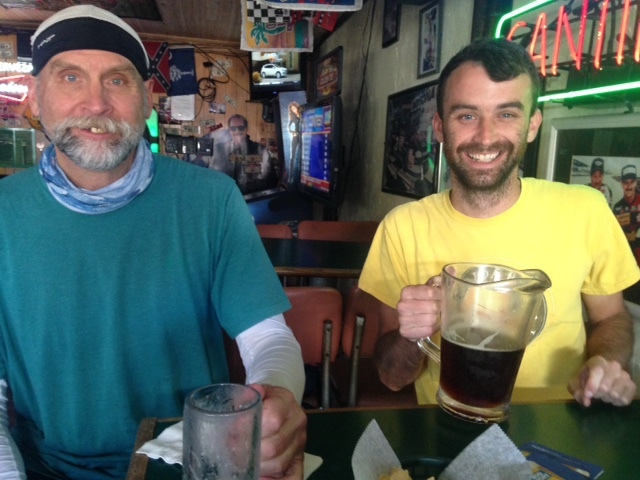 Enjoying beer with my son, Cary. No wonder Cary has a big smile as gets a pitcher and me a mug! Should be the other way! Thanks for keeping the house going and being there for your mom. Our neighbors Andrea, Tim and Jean met us at our local hangout – La Cantina. We stayed with Andrea and Jean at Jean’s lake house in Houlton, Maine. 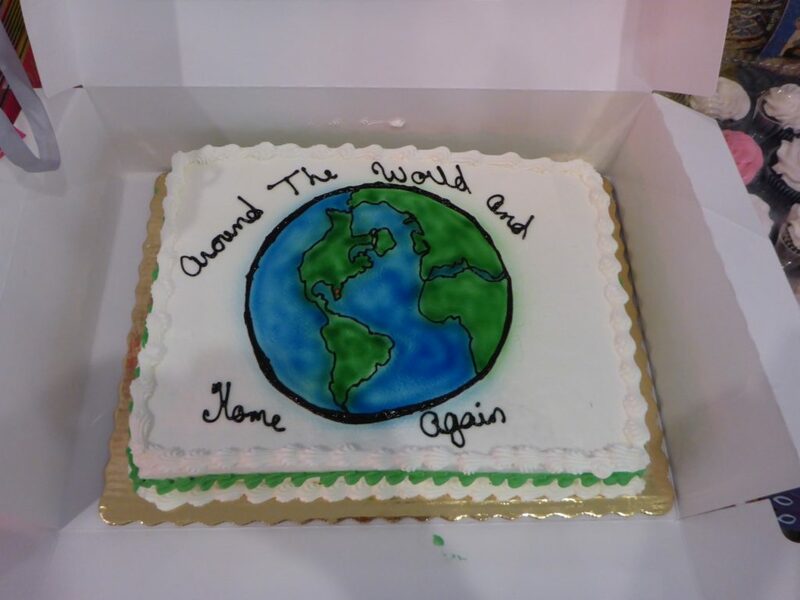 What a nice welcoming and world map. 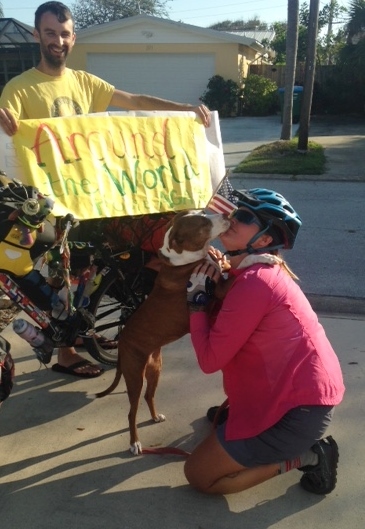 Without a homefront with Andee and Cary this trip would have been much more difficult. 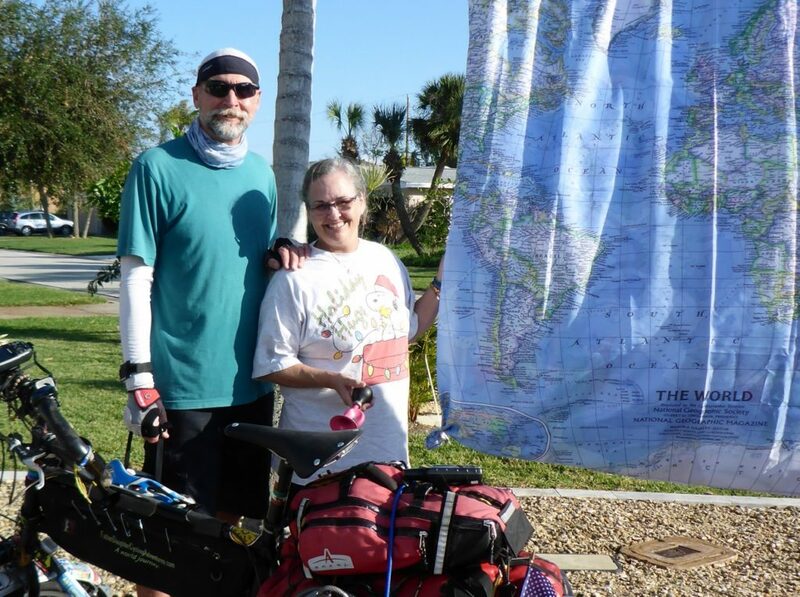 Cary kept the house going and Andee took care of finances, and was a great moral support to keep us going when times were tough and tougher and sometimes even tougher. Thanks Andee for letting me run away from home over 5 years ago and enabling me to explore this wonderful world we live in. I love you. Jocelyn finally reunited with her dog Yaki. 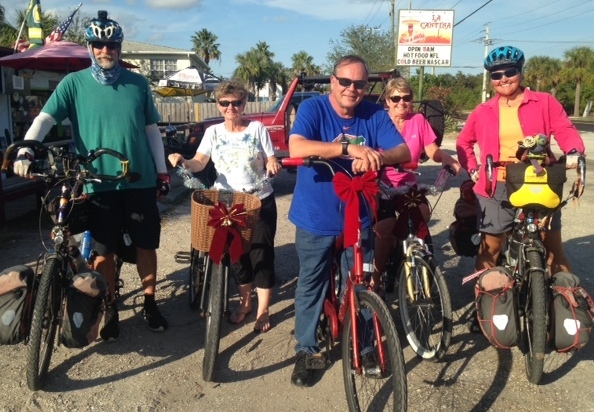 Riding to the Florida Brewing Company with neighbors Charlie, Janice and Tim. 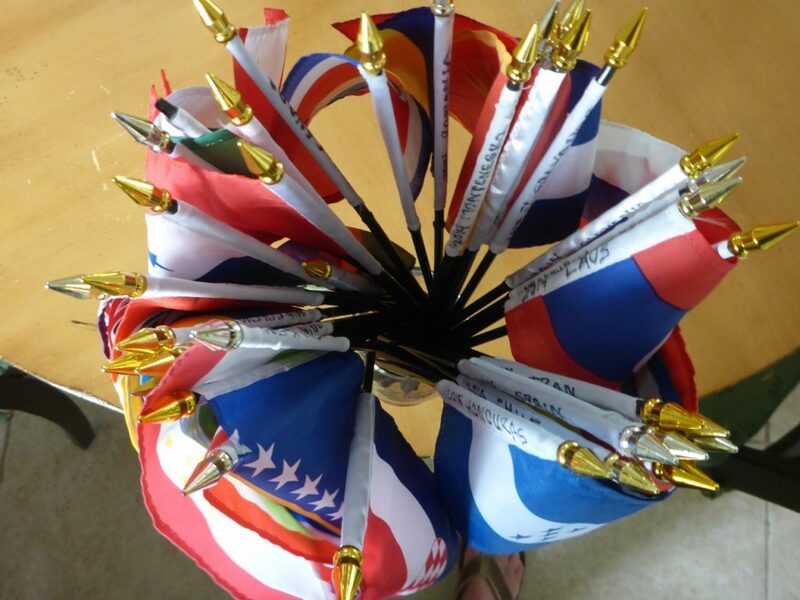 My wife decorated with flags from 37 countries.